Looks like another packed house in Ho-Chi Minh City in Vietnam. Amazing. I could not even have imagined Vietnam for Guthrie and/or this band even a year ago but this attests to Guthrie's universal appeal in every corner of the world. Not ideal lighting for a photo but here's one from Manila, Philippines. 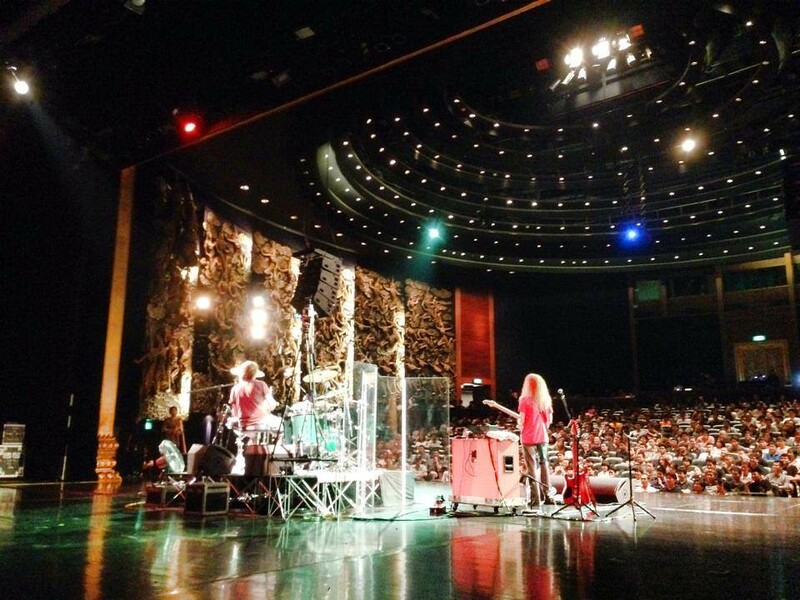 And 700 seater in Bangkok, Thailand sold out for band clinic in the afternoon and show in the evening! The Asia tour is now over with the last show in Osaka last night and the guys will now head over to Europe for a short tour there which includes two festival dates. It was a very successful tour - averaging nearly 400 people per show in paid attendance. 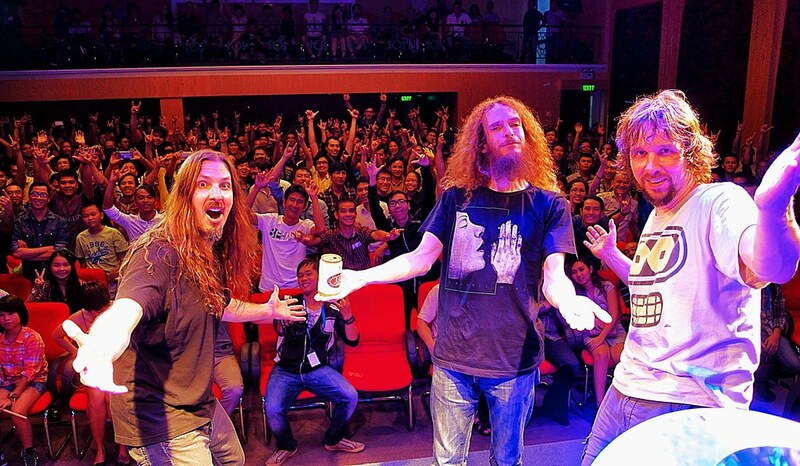 So over 10 dates in Asia over two weeks, the guys played in front of nearly 4,000 wildly enthusiastic fans. The Aristocrats continue to move in an upward tangent. The finale of the Asia tour at Osaka, Japan. The guys are on their way to Europe now for a short break in Italy and start a short run of 5 more dates to conclude the 'Culture Clash' world tour. It's been an amazing ride. 'Culture Clash Live!' album culling material from various shows (including this Asia tour) over the past year are in the works. We're working on it feverishly for release in late-Nov.